Long long ago in a far off land - oh wait this isn't exactly a fairy tale. 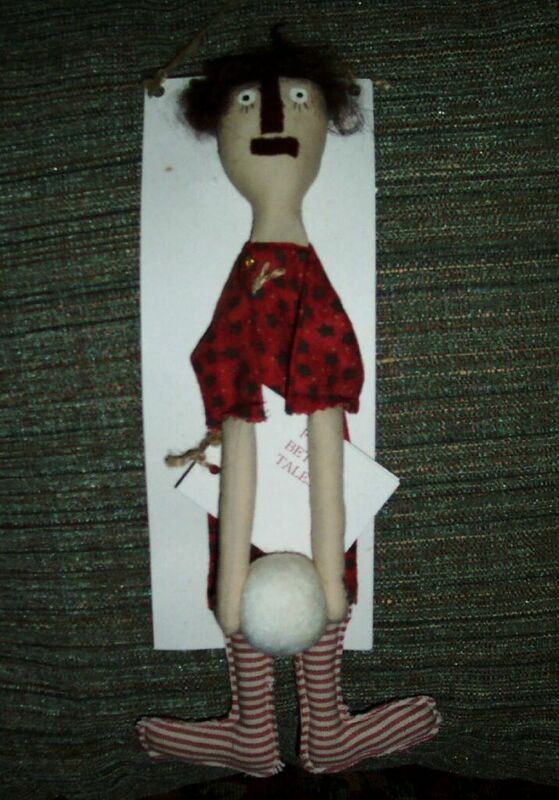 OK, several years ago I was in my studio creating a new primitive doll. Had her legs sewn and stuffed, her arms sewn and stuffed, and her body sewn - her body was actually her dress. Her head was done except for the hair. 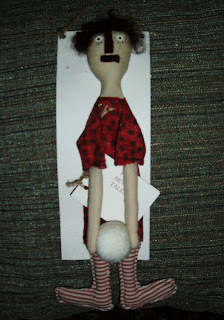 So I sewed that little beauty together, realized I had not stuffed the body, and Flat Betty was born. She hung on the wall and of course had to have a story to go with her as most of my dolls did, in a wee little book that she held. I was so taken with Flat Betty that I just had to keep the tale going. Now I'm going to blog the Flat Betty tales during the next week. So if you like this one, be sure to check back in a few days for the NEXT installment! I love the story, and I love the new look! I think I work at the Ding Dong Dinner Diner too. hee,hee,hee. Just wonderful! That story is SOOO YOU! You never fail to make me smile and inspire me!